Professor Charles Mgone is the Vice Chancellor of Hubert Kairuki Memorial University in Tanzania. 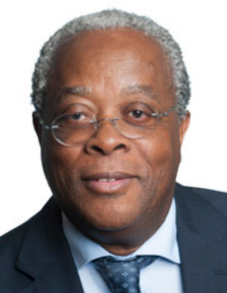 Trained first as a paediatrician, he holds a PhD degree in Medical and Molecular Genetics with the experience of working in Africa, Europe and the Pacific, where he served as advisor at the national and international levels. Professor Mgone was formerly the Executive Director of the European & Developing Countries Clinical Trials Partnership (EDCTP) where he led the coordination of European Union Member States’ national programmes on poverty-related diseases to work in partnership with sub-Saharan Africa, European Union and the private sector, including pharmaceutical industry and other international development partners. Before joining the EDCTP, he was the Network Director of the African Malaria Network Trust with the responsibility of coordinating the African R&D and capacity development for malaria vaccines and related interventions. Professor Mgone is a member of many international scientific committees, chairs the TDR Scientific and Technical Advisory Committee, member of the Council on Health Research for Development (COHRED) and the Alliance for Accelerating Excellence in Science in Africa (AESA) boards, and the founding chairman of the Africa Research Excellence Fund (AREF) Board.